Is The Multifunctionality Of The MiraFit Vibration Power Plate Enough To Make It Stand Out? Vibration plates are often criticised for a lack of function, but there is the sense that the makers of the MiraFit Vibration Power Plate have tried to correct this issue. The common complaint is that these machines don’t really do all that much other than wobble for a bit. 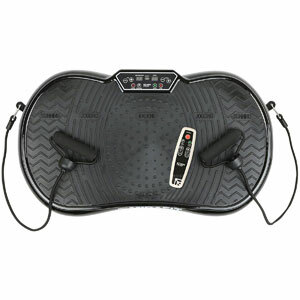 Users stand on them, enjoy the vibrations and hope that it leads to increased weight loss and better tone. This model does at least try to be more multifunctional with a range of different modes and the addition of the detachable resistance bands. Does this all help to ensure that this is more beneficial option?